My thoughts: I first became a fan of Fiona Davis's work after reading and loving her debut novel, The Dollhouse. I absolutely loved the way she intertwined the history of a famous building in NYC, The Barbizon Hotel, with a fictional tale and she does it once again in her latest book. This time she centers her story on The Dakota, and once again, I found myself completely captivated. Fiona Davis definitely writes the dual-narrative very well. I love the way she is able take the two storylines and develop a story the eventually ties them together. Sara and Bailey were equally intriguing and compelling characters. They each had the flaws, for sure, but it's so much more than that. They are each constrained by issues of their times. For Sara, it's a matter of being a woman during the time she lives - she's living a male-dominated society and isn't quite sure where she fits. For Bailey, she is dealing with her addictions and learning to overcome all that that entails. For each, it is like being trapped in a prison to some extent. I wasn't quite sure how these two women would, in the end, connect, and how the murder of Theodore Camden would factor in. It's Bailey that starts to unravel the details of the murder, while Sara's story leads us up to the moments of the actual events. I loved how this all played out. Little by little we get the whole story and I was on the edge of my seat as it seemed that each time a little more of the story was revealed, the book switched narrators...but it was all good - all the pieces were slowly fitting together. This was such a good reveal and while I was trying to put it all together myself before I got to the end, I didn't guess it all and I was pleasantly surprised with how it all played out! I admit that I was not familiar with The Dakota, New York City's first luxury apartment house, and I have probably walked by it many times while in the city without even realizing it. I have never been to Randal's Island which is what Blackwell's Island is now called. I definitely plan on making a point of visiting both on one of my next trips to the city - as well as walking by where The Barbizon Hotel (from Davis's previous book) is located - again, I have probably walked by this building without even realizing it's significance. I love reading books that make me want to dig more into the history of something and Fiona Davis has done just that. Not only am I intrigued by the Gilded Age of New York and how life was during that time, but I also want to know more about the Asylum at Blackwell's Island. Who were the women that were sent there and for what reasons? And I definitely want to read more about that reporter, Nellie that Fiona references - I had no idea when I was reading about that part in the book that that was based in reality. I think I just added a whole bunch of books to my reading list - and nonfiction books to boot! This book was so engaging and immersive. I found myself completely lost in both worlds that Fiona created and wanted more of each. 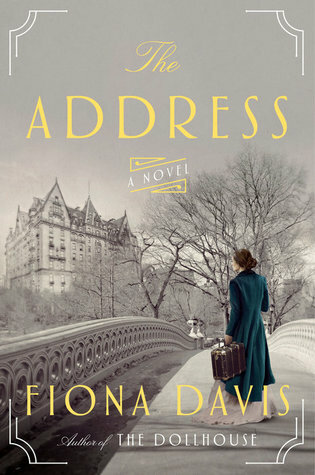 I cannot wait to see what comes next from Fiona Davis - she is definitely a must-read author for me. I cannot recommend her books enough!!! 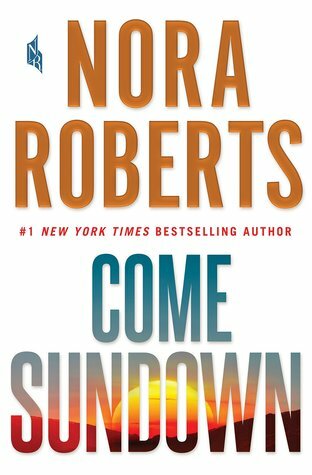 My thoughts: I adore Nora Roberts' romantic suspense novels and look forward to when the new one comes out each year - they seem to get better and better with each one! This one was long - and I listen to them, so at just over 17 hours, you need to be invested, engaged and entertained to commit to this one - and I was just that. This one had great characters, a compelling mystery and a sweet romance that kept me hooked from start to finish! What I loved most about this book is the way Nora Roberts was able to balance the moments of darkness - the disappearance of the aunt and story of the man that has kept her hostage for so long - with life on the ranch and a few romances, including the one between Bo and Cal. The romances are definitely not the focus of the book, but rather they are tiny threads that are woven in and get high-lighted here and there, giving the story some breaths of light. It is this balance, though, that keeps this book from being too heavy, from falling solely into the thriller genre and I'm ok with that. I felt that this was much more of an emotional read than some of Nora's previous books. There are some truly horrific, dark scenes in this book - mainly those of Alice when she is kept captive. These were heartbreaking to read and I felt Alice's anguish at being held captive all those years - it was raw and honest and at times, hard to take in. Those scenes are mostly told in the past. Then we are taken back to the present, were we get snapshots of life on the ranch and resort and are taken into the everyday life of the Longbow family. I loved getting to know these characters, from Bo and Cal, to Bo's family, especially the grannies. All these characters are so well-drawn and developed that you feel as if you know them personally by the end of the book. This family saga really kept me engaged and invested in what was going on. The family dynamics that Nora Roberts drew from were strong - this family relies on a strong family bond. There were quite a few twists and turns that I didn't see coming and while I had a few guesses, they didn't pan out. This book will play on your emotions and keep you entertained at the same time. This is Nora Roberts at her best! Audio thoughts: I adore Elisabeth Rodgers - she narrates just about all of Iris Johansen's books, which I love listening to, and a few other books that I've listened to as well. I find that she is able to adapt to just about any book she is narrating, giving the characters their own unique voices, with distinct character traits as needed, and her pacing and tone are spot on. She really does a great job bringing the characters to life. This is a long audio - but Elizabeth Rodgers keeps your attention, keeps you engaged with the characters and her voice never feels stale - her inflection and emotion is consistent throughout. This was a good book to listen to from start to finish! So I challenged myself to walk a minimum of 100 miles this month - and while the month isn't quite over, I'm psyched that I already hit the goal as of Friday!!! And to think, I wasn't even training for a race ;) I think this is something that I will definitely do again, though not next month as I will be away one week and won't be doing much that week. I like having a goal to work towards! 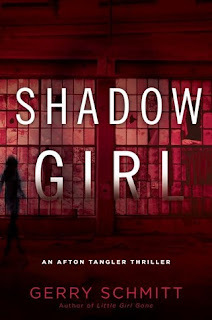 My thoughts: This is the second book in Gerry Schmitt's Afton Tangler Thriller series and I was so excited to get my hands on it. I loved the first book in this series, Little Girl Gone, and I couldn't wait to see where this series would go next. I already read a few series from Laura Childs, the pseudonym that Gerry writes under - but those fall under the cozy mystery genre. This series is more police procedural/thriller and I love it!!! Once again, as in the first book, we find out pretty quickly who did the crime in the book, so the big mystery is more about why they did it. Of course, the cops take a bit longer in finding out the who...but once they do, they also spend most of their time trying to figure out the why. I find this to be quite an interesting take on this series - it's quite the puzzler!!! And it was so much fun trying to guess as to what was going on and why! 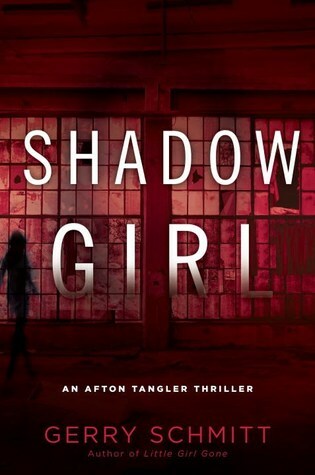 As this was the second book in this series, we are still getting to know our main character, Afton Tangler. I really like her! She's the family liaison officer for the police department, but desperately wants to be a detective. She works alongside Detective Max Montgomery and often acts as his partner. She is many times fearless, takes chances that she really shouldn't, often acting before thinking but many times gets results. While not officially partners, they do make a good pair! This book was filled with non-stop action almost from the start and will keep you flipping the pages to see how it all plays out. I am really enjoying this series and cannot wait to see what happened in the next book! My thoughts: This is the second book I've read by Meg Mitchell Moore and it's the second book I've enjoyed by her. She has such a way with words and storytelling - being able to draw you in and keep you engaged and invested in the world she creates. I loved that the characters are so real and relatable! You may not always like them or agree with their choices or actions, but they are true to their characters and that makes them good, flawed, realistic characters. Eliza has been living in an affluent Massachusetts town with her family, which is quite the opposite of the small coastal town in Maine that she grew up in. When she needs to head back to Maine after her dad has been injured, she finds that going home isn't always as easy as one thinks. This book is filled with subtle themes that sort of sneak up on you. It's not a heavy book by any means, but rather one that is balanced with humor and messages meant to think about. It delves into relationships between parent and child, motherhood, marriage, grief, and the idea of being true to yourself. And the settings - that of both the Massachusetts town and the Maine coastal town are ideal for this story! I loved both and found that both were just right for the messages that Meg Mitchell Moore was trying to send. This was such a good story, with memorable characters, and insightful messages. It's definitely a great summer read! 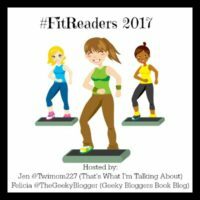 Audio thoughts: I have listened to Coleen Marlo before, so I knew I would enjoy this book and I was right. She did a great job with this audio production, giving each character their own unique voice and using just the right amount of emotion when needed. Her pacing and tone were spot on and this really was a great book to listen to. 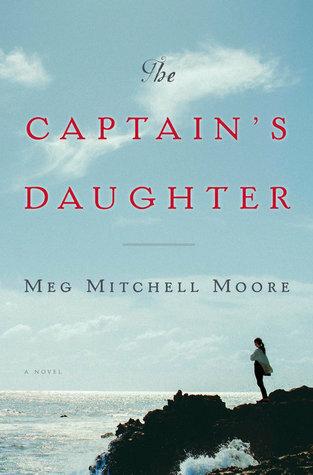 The Captain's Daughter by Meg Mitchell Moore is one of BookSparks "Summer Reads" reading selection picks. 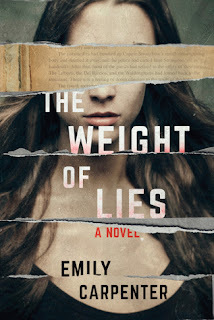 My thoughts: I first became a fan of Emily Carpenter after listening to her debut novel, Burying the Honeysuckle Girls. She really knows how to create a gripping Southern Gothic mystery that captivates you from the start and this latest book is no exception! I think my favorite part of this book is the whole book-within-a-book concept! I loved that!!! 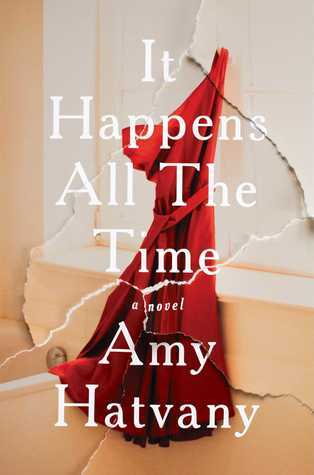 It adds an extra dimension to an already layered book, it gives another layer of tension to an already tense situation, it builds more suspense as the book reaches a gripping finale. The whole cult following phenomenon of Kitten just drew me in even more and the little snippets made me desperate to know the whole story! I loved the characters in this book - they were all so vividly drawn. As we got to know more and more of them, it was hard to know who was being truthful and who wasn't. And as Meg digs deeper and deeper into her mother's past, it becomes harder and harder to determine who is to be trusted and who isn't. There are quite a few twists and turns, and this one kept me guessing til the very end. 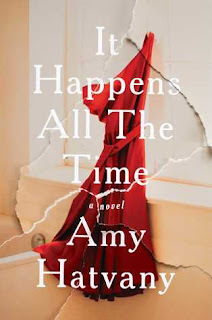 This multi-layered, psychological mystery definitely has hints of a classic horror book running threw it and while that's not my typical type of read, I loved the way it's woven in so that it doesn't take over. The Southern Gothic vibes really do shine through and I know that Emily Carpenter is now going on my must-read list. I cannot wait to see what she writes next!!! 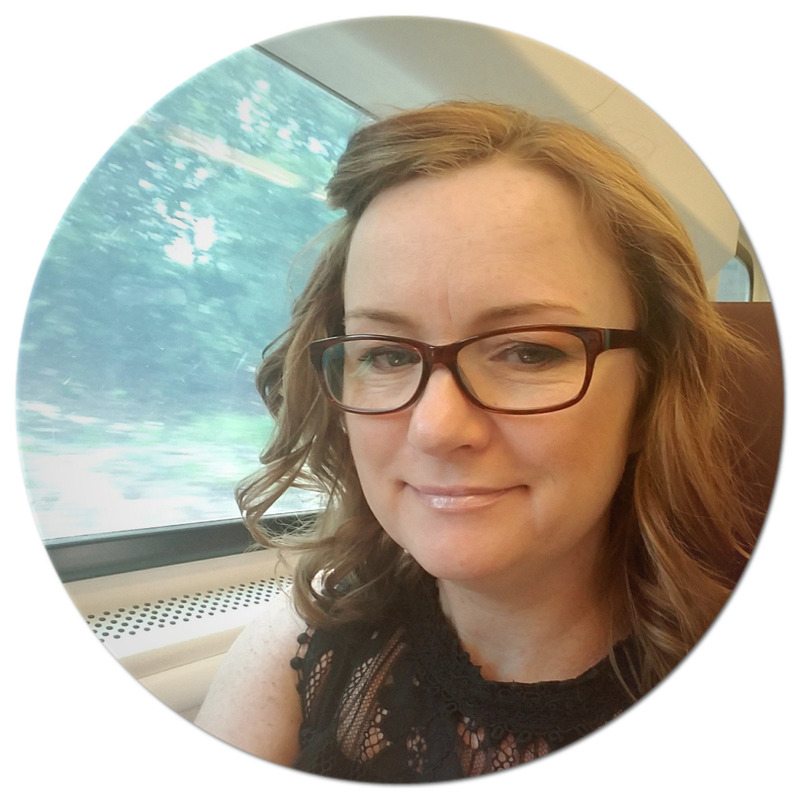 Audio thoughts: I love Kate Orsini and thought she did such a fantastic job with this audio production. She was able to give each character their own unique voice and her tone and pacing were spot on. I loved the snarkiness that she would use for Meg's character - it just felt so real and came out in just the right places. Well done, Kate, well done!!! My thoughts: I have to admit...I actually finished this book a while ago, but needed time to digest the book and process my thoughts on it. Not that I didn't like the book - because I did, but this story is so powerful and heavy. Amy Hatvany is known for taking on subjects that need to be discussed and boy does she do that here. This book is definitely not for the faint of heart. It's a tough book to read - it has a lot of trigger points - it deals with sexual consent and the aftermath. But, it's also about how we treat victims. This is a heavy book, make no mistake about it. It's told in alternating view points from Amber and Tyler's point of view and so we are able to get inside both of their heads, see how they each view what happened leading up to and after the "incident." I liked how we were able to see the whole scope of Amber and Tyler's friendship. I think this was important to the overall message of this book. We see how they came to be friends and even the ups and downs of their friendship, and then the events leading up to that night. But it is seeing how they each felt about that night that really shows just how different they each viewed things. This is where having the story told from both sides really shines, really makes an impact. This is a brutal, raw, honest look at what unfortunately happens only too many times in today's world. The writing is compelling and will have you wondering just what you would do if this were happening to you, your daughter, your sister, or friend. It's a book that will take you down an emotional journey and leave you with much to think about. And it's a book that you need to share with all you care about - especially those young people in your lives! This book is definitely a must read!!! Audio thoughts: This was a tough audio book to listen to, but a powerful one. I admit, there were times I had tears streaming down my face, though had I been reading the book, I think that would have been the same. Julia Whelan is one of my favorite authors and I thought she did a great job with her narration. Kirby Heyborne is new to me and he did ok...his voice wasn't as strong as I was envisioning, but it worked. I do give both narrators a lot of credit for being able to narrate this book - it was a heavy book to get through and they were able to give it all the emotion and support it needed when necessary. It turns out the caped crusader has left her with more than just a nice, fuzzy memory. She's having a baby boy--an unexpected but not unhappy development in the thirty-eight year-old's life. But before Leia can break the news of her impending single-motherhood (including the fact that her baby is biracial) to her conventional, Southern family, her step-sister Rachel's marriage implodes. Worse, she learns her beloved ninety-year-old grandmother, Birchie, is losing her mind, and she's been hiding her dementia with the help of Wattie, her best friend since girlhood. 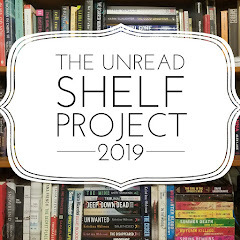 My thoughts: I know when it comes to picking up a book by Joshilyn Jackson, I am going to get a good story - one with charming characters, a readable story and still deal with relevant, timely issues without being heavy-handed. This book is all that and so much more. Joshilyn Jackson knows how to create characters that pull you into their lives and make you want to know all there is to know about them. You become completely invested in them. They are flawed to be sure, but they relatable and believable. The relationship issues that Joshilyn wrote about between Leia and her step-sister Rachel were issues I could relate to, having two sisters myself. There is a lot going on this in this book - but not so much as to make it too much to handle. Rather, Joshilyn Jackson is able to weave all these threads into one believable story, one that touches on both heavy and light topics to keep it balanced. There's a mystery surrounding a long-ago secret that comes to light, there's the issue of the unexpected pregnancy to deal with, there's the issue of aging and all that comes with that, and there's the issue of racism. Thrown in there is a romance, some teen angst, and just enough humor to keep this book from being too heavy. And, while comic books are not really my thing, I did like this angle as it added a different dimension to the story. This book will tug at your heartstrings and it will also make you chuckle. But more importantly, it will make you think. You will definitely not be forgetting these memorable characters anytime soon - I know I won't! Audio thoughts: I decided to listen to this book, even though I had the print copy, because Joshilyn Jackson was narrating it - plain and simple!!! I've listened to her narrate her own books before and I know she does a great job with them. This isn't always the case...some times having an author narrate their own work doesn't always work out well, but Joshilyn Jackson is able to execute it well...she knows her characters and is able to deliver the performance perfectly. She gives each of her characters their own voice and her accent and inflection and tone are just right. This was pure joy to listen to!!! About the author: Joshilyn Jackson is the New York Times bestselling author of seven novels, including gods in Alabama and A Grown-Up Kind of Pretty. Her books have been translated into a dozen languages. A former actor, Jackson is also an award-winning audiobook narrator. She lives in Decatur, Georgia, with her husband and their two children. 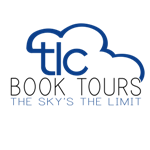 Be sure to check out all the other stops on the blog tour and follow the tour on Twitter (hashtags: #TLCBookTours & #TheAlmostSisters). 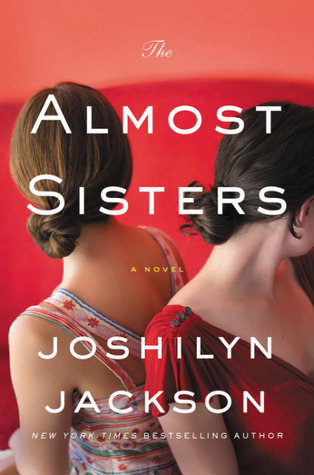 The Almost Sisters by Joshilyn Jackson is one of the She Reads "Books of Summer" reading selection picks.